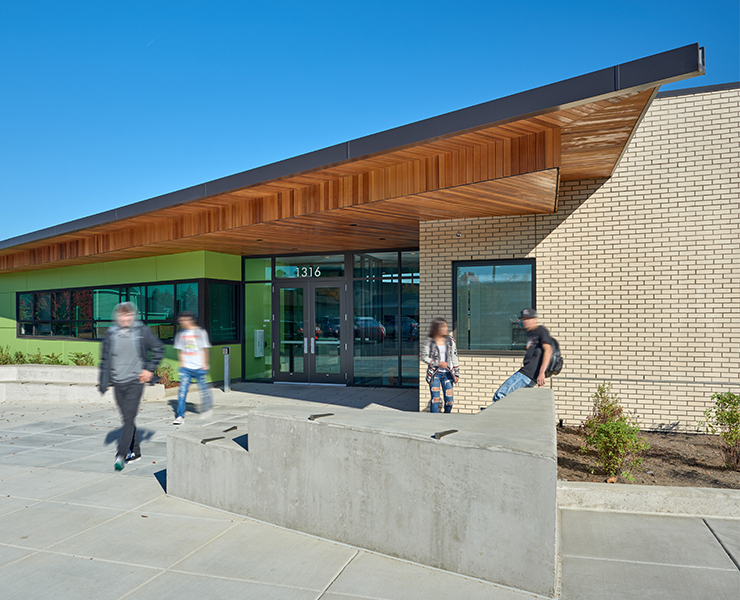 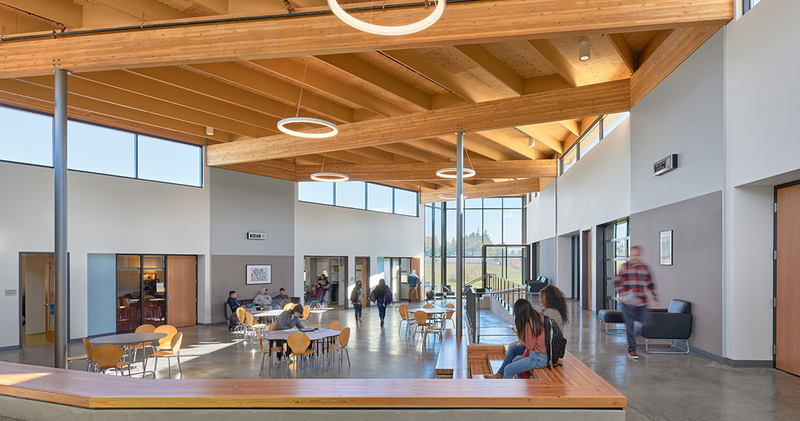 The design of Woodburn Success High School responds to the school’s unique alternative program for students not well served by the traditional high school setting. 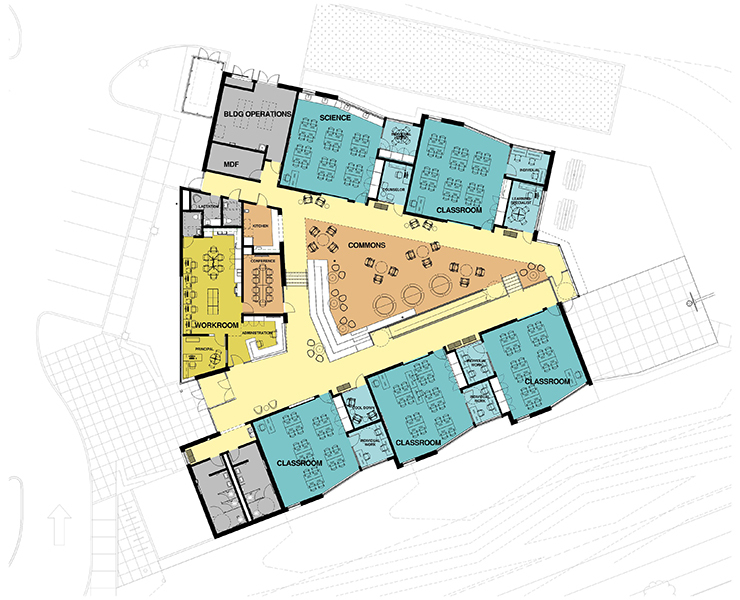 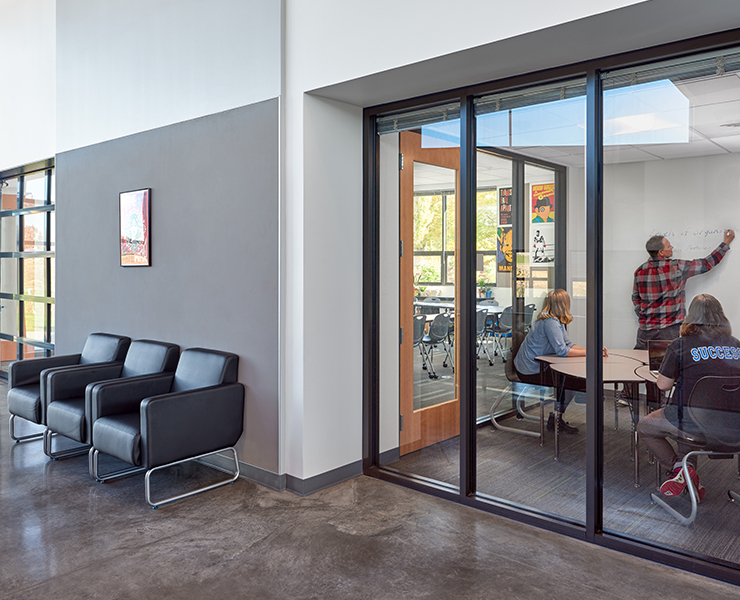 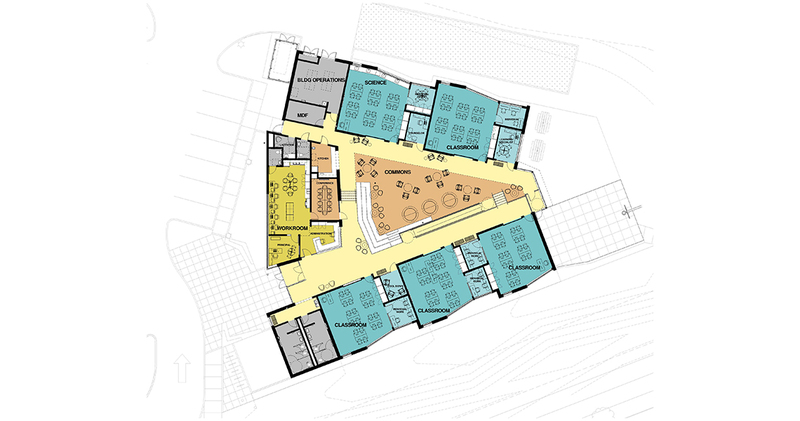 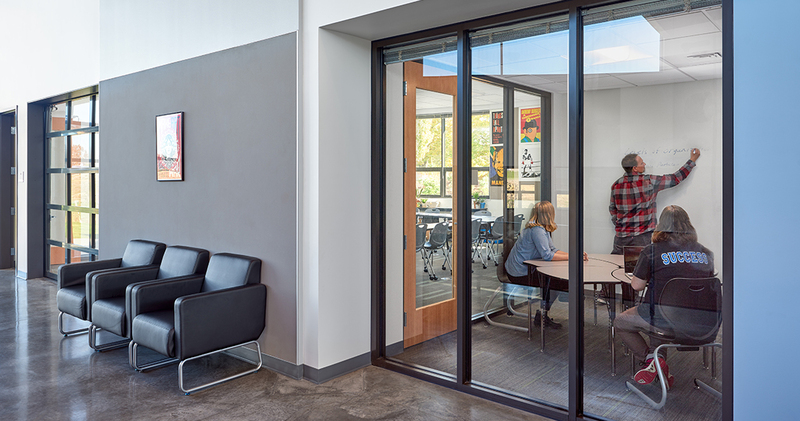 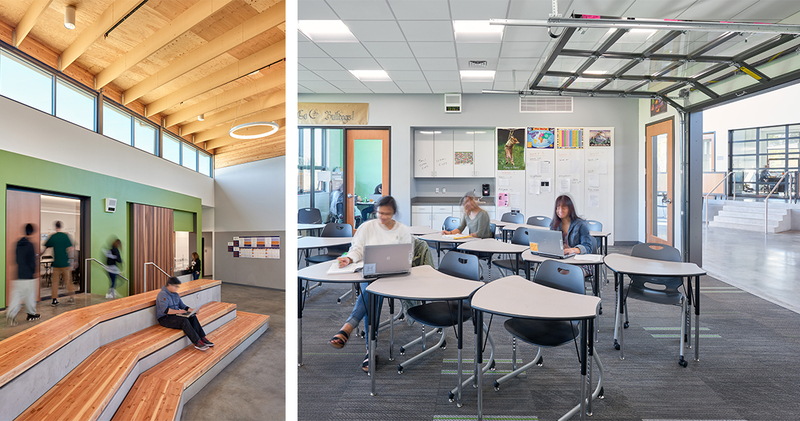 Propelled by a paradigm of community and interaction – but with a need to support individualized curriculum and different learning styles – a dynamic multi-level commons is ringed by smaller classrooms and small student work rooms to maximize flexibility. 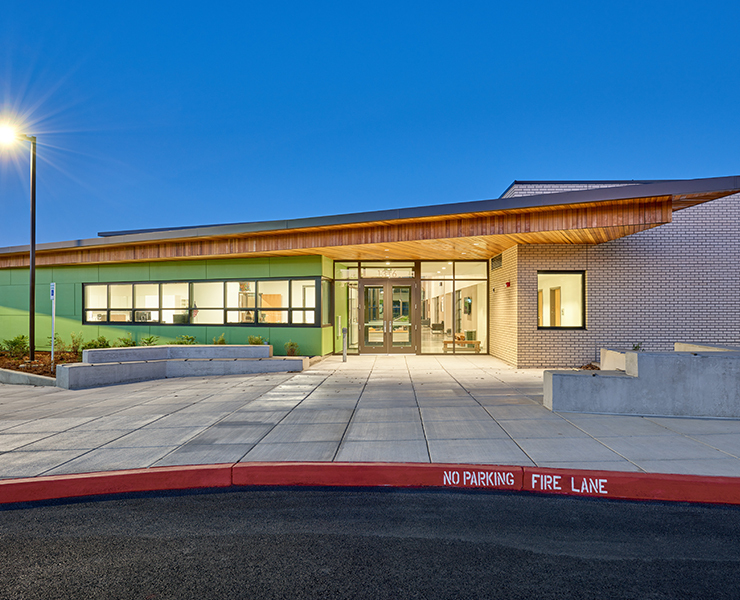 With awareness of the findings of the CDC’s Adverse Childhood Experiences Study (ACES), the spaces are designed to promote trauma-informed instructional practices through the lens of Maslow’s Hierarchy of Needs and Erikson’s Theory of Psychosocial Development. 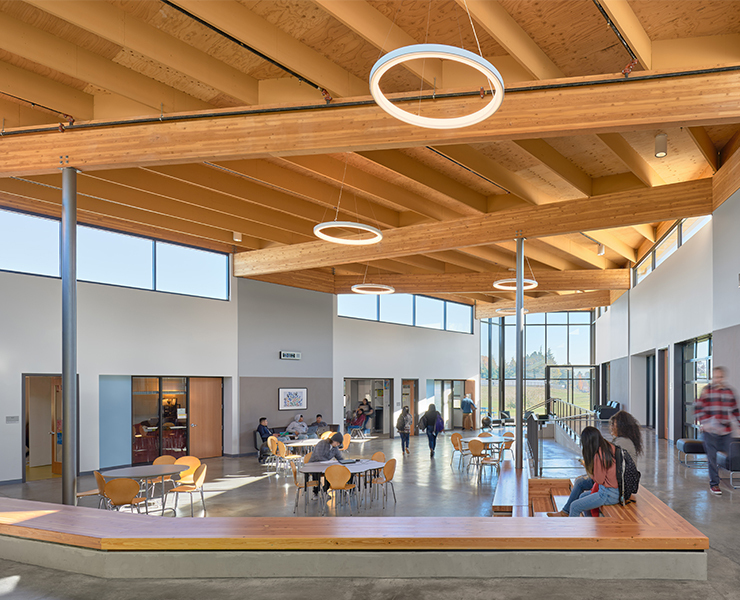 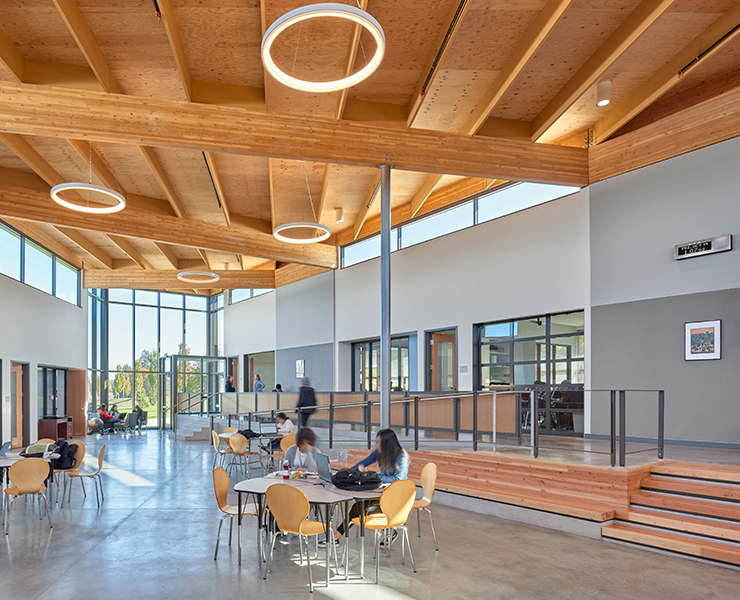 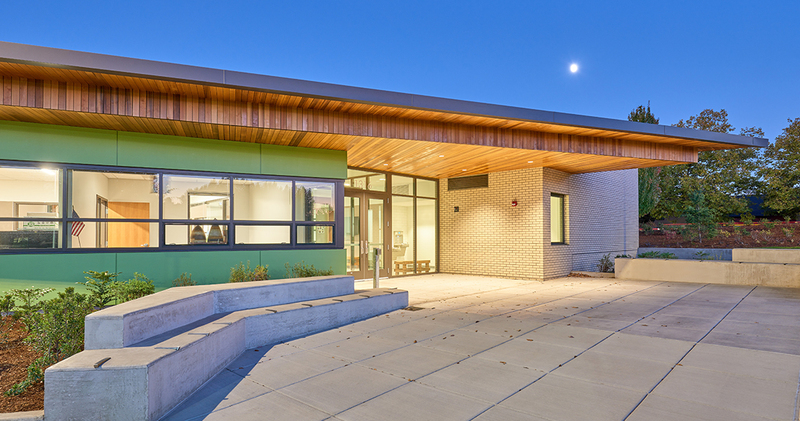 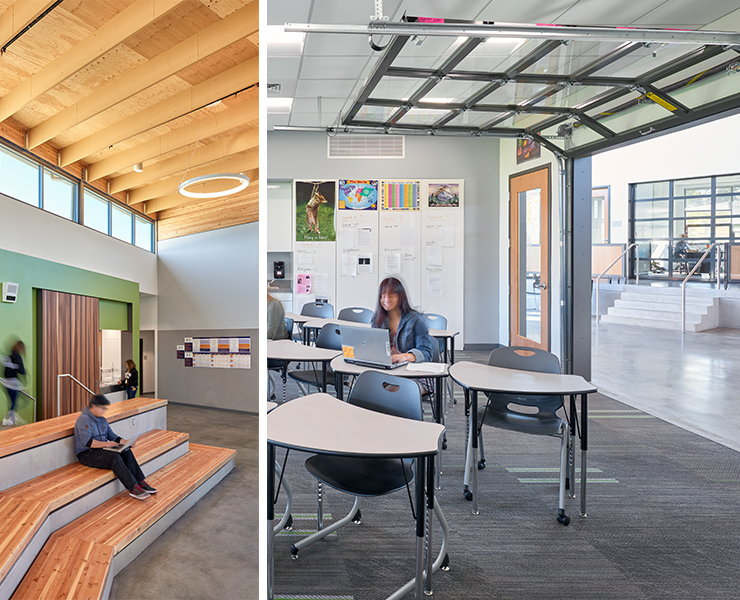 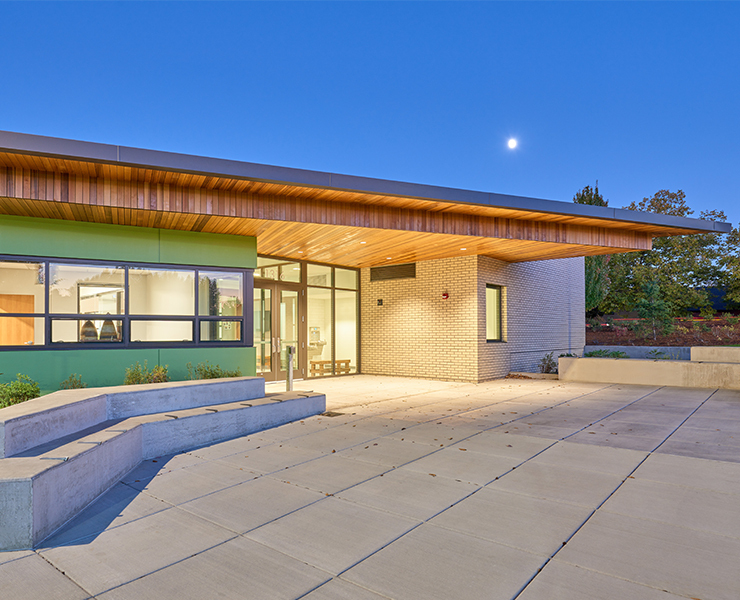 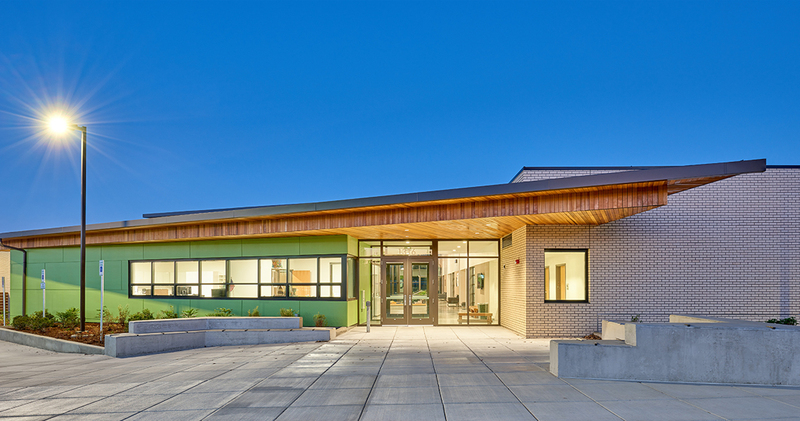 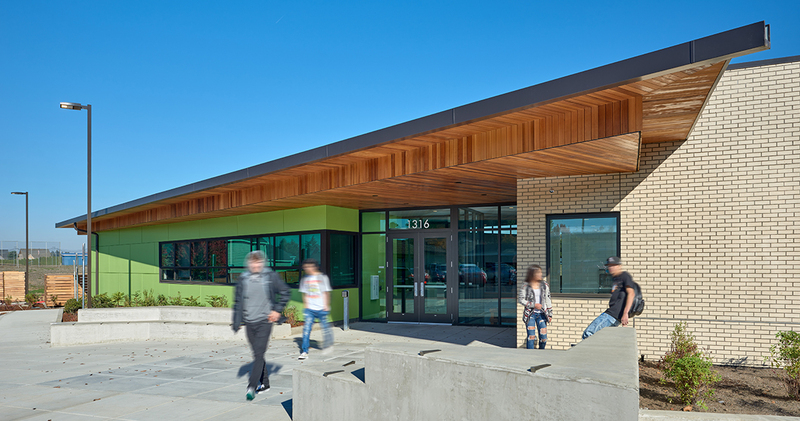 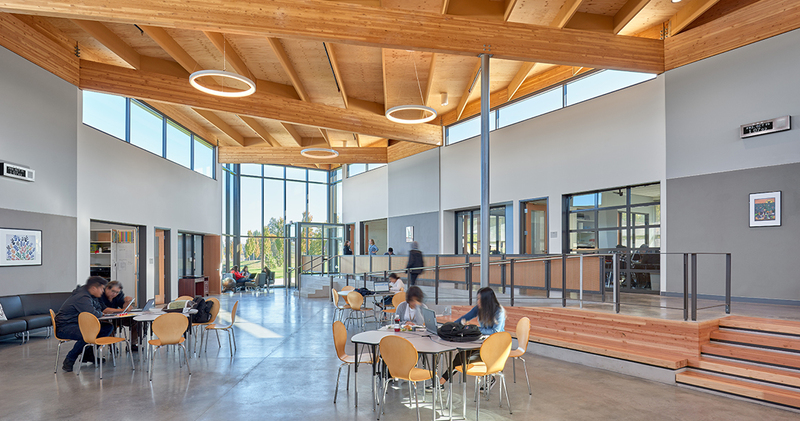 Additionally, the technological requirements of the online learning curriculum informed the design and, in turn, how the building itself becomes a teaching tool through the innovative systems and abundant natural lighting that are integral to achieving the project’s goal of Net Zero energy use.